Reverie Studios today announced that the indie online RTS game, Dawn of Fantasy: Kingdom Wars, will be making the transition to the free-to-play business model with an exciting new patch scheduled to release this September. 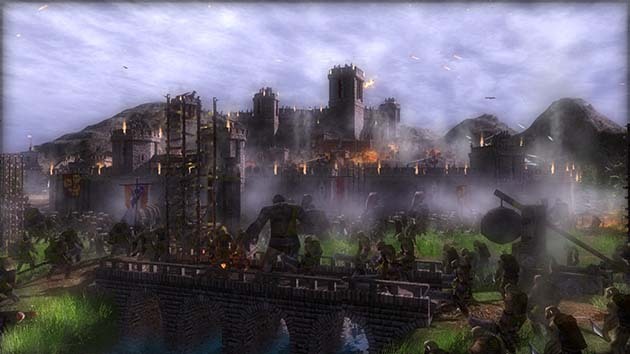 Thousands of new players will have the opportunity to build and manage their expanding empire with Dawn of Fantasy’s unique combination of offline PvE and seamless online PvP. The developers have also promised an array of changes coinciding with the free-to-play release including a lot of new content, brand new features and massive changes to gameplay mechanics and balance. Kingdom Wars will NOT become a Pay to Win game, with micro-transactions only adding cosmetic items and decorations. All current players will be able carry over progress and will enter the new free-to-play world as an Elite member with the vast majority of micro-transaction content unlocked free of charge. Current players will also be given a free upgrade to a premium account that earns crowns from quests and combat at a quicker rate.